Intense colour meets conditioning 8-hour moisture. Full-coverage, vibrant colour in 14 shades. Made with 100% naturally moisturizing ingredients such as beeswax, moringa oil, raspberry seed oil and vitamin E. Burt's Bees lipstick helps to hydrate and moisturize lips leaving them feeling soft, smooth and conditioned all day long. First and foremost, can we just talk about the packaging? I'm loving this cool plastic matte square lipstick tube and its honeycomb detailing. So simple yet stands out. While we're on the topic of packaging - It's recyclable! Made of 100% #5 plastic and 60% PCR content. Moving on. The scent of these lipsticks are wonderful. Sweet, fresh, with a tiny hint of floral. My scent description are never the clearest but trust me when I say they smell amazing. If there's a candle with this lipstick scent, I'd buy it! The colour payoff is fairly pigmented - I would say it's not tinted but also not as pigmented as one lipstick should be. There's shine but no shimmer. 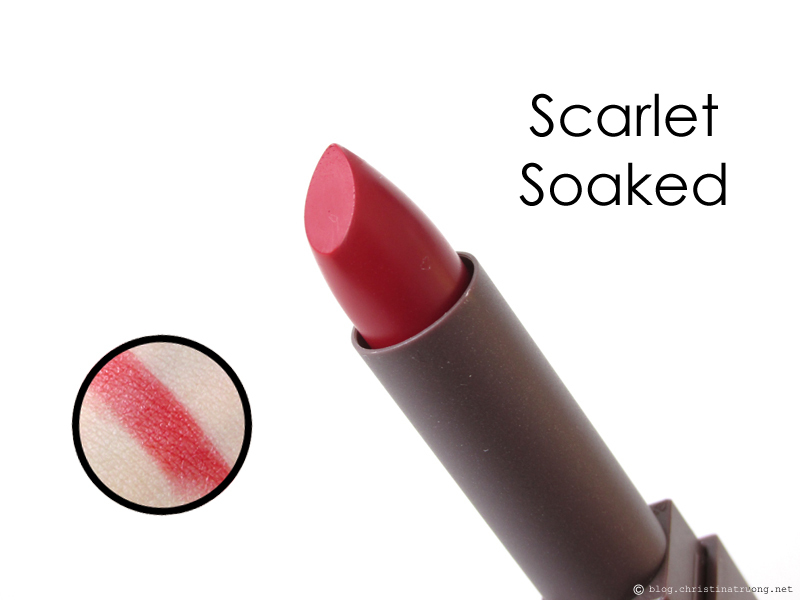 The lipstick itself glides on smoothly and moisturizes the lips. One thing to note, it slowly wears off, especially after eating and drinking. Reapplication is needed throughout the day. At the end of the day, I still enjoy Burt's Bees Lipstick. They may not be long lasting but they do keep my lips hydrated and moisturized (which is very important as my lips are constantly dry and chapped). It applies well and doesn't leave a sticky feel to the lips. And let me just say it one last time, I'm completely in love and can't get over the detailed packaging and scent of the lipstick! 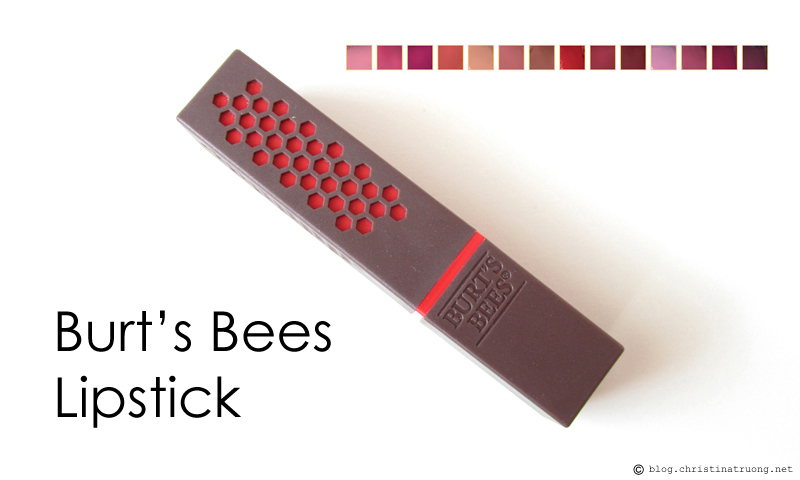 Leave me a comment: What do you think about Burt's Bees Lipstick? Are you eyeing on a specific shade? What's your favourite Burt's Bees product?